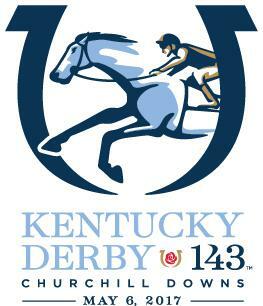 The Kentucky Derby continues to be an exhilarating horse racing tradition in the United States. Taking place in Louisville on the first Saturday in May, the country’s “Fastest Two Minutes in Sports” is a perennial event that has delighted audiences since 1875 and it remains the most attended stakes race in the country. The Kentucky Derby is the first in the Triple Crown of Thoroughbred Racing, followed by the Preakness Stakes and the Belmont Stakes race. For those that don’t know how the Kentucky Derby works, three-year-old Thoroughbred horses are raced on a one and one-quarter mile long stretch of dirt racetrack at Churchill Downs. Colts and geldings carry 126 pounds while fillies carry 121 pounds. More than fifteen horses compete in the Derby, a number that’s well above the average for the majority of horse races. The 2017 Kentucky Derby is happening this Saturday, May 6th and the competing horses include Always Dreaming, Fast and Accurate, Thunder Snow, Untrapped, and more. Tickets are almost sold out, but you can still place bets on the horses even if you won’t be attending.